Jane Hughson was sworn in Nov. 14 as the new mayor of San Marcos, following her win over incumbent John Thomaides in the Nov. 6 midterm election. Hughson will serve a two-year term as mayor and will chair the City Council. Hughson said she will work with City Council on housing, public transit and community partnerships. Hughson said she looks forward to working with everyone in the community to keep taking care of the city. City Councilmember Ed Mihalkanin said Hughson will be successful as mayor due to her experience on City Council and more. Mihalkanin also said she will be able to work on policies set earlier this year and work to expand programs for residents in San Marcos. City Councilmember Saul Gonzales has faith Hughson will be able to do a good job as mayor due to her being a long-time San Marcos resident. “I think she will do a great job, she’s been in San Marcos a long time and well-versed on the policies and procedures. I’m excited,” Gonzales said. City Councilmember Mellisa Derrick, who was re-elected to hold the Place 6 chair, was sworn in alongside Hughson. At the ceremony, held at City Hall, Derrick said one of the entities she plans to work with is the San Marcos Regional Animal Shelter, as well as focus the Small Area Plan, a comprehensive plan to offer quality places and better access to amenities to growing neighborhoods. Lisa Marie Coppolleta, a San Marcos resident and long-time Hughson supporter, said Hughson is a very thorough and hard worker. 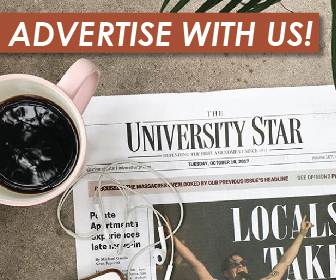 The University Star regularly reports on City Council’s meetings and policies, found under our In Brief section.